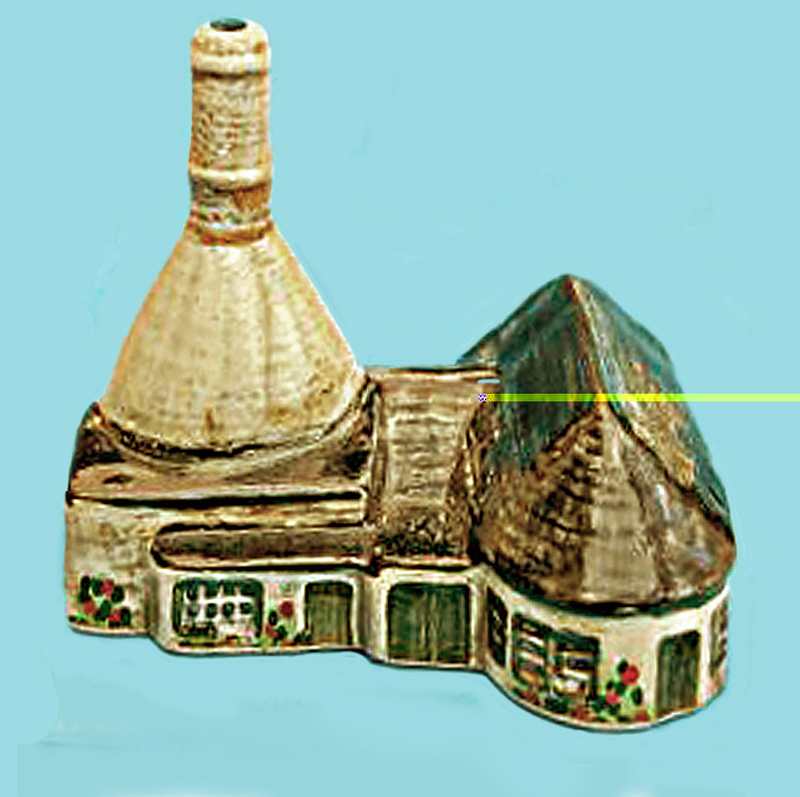 There was a small pottery for a short time (1913-14) in the village of Liverton, on the edge of Dartmoor, known as the Liverton Art Pottery. 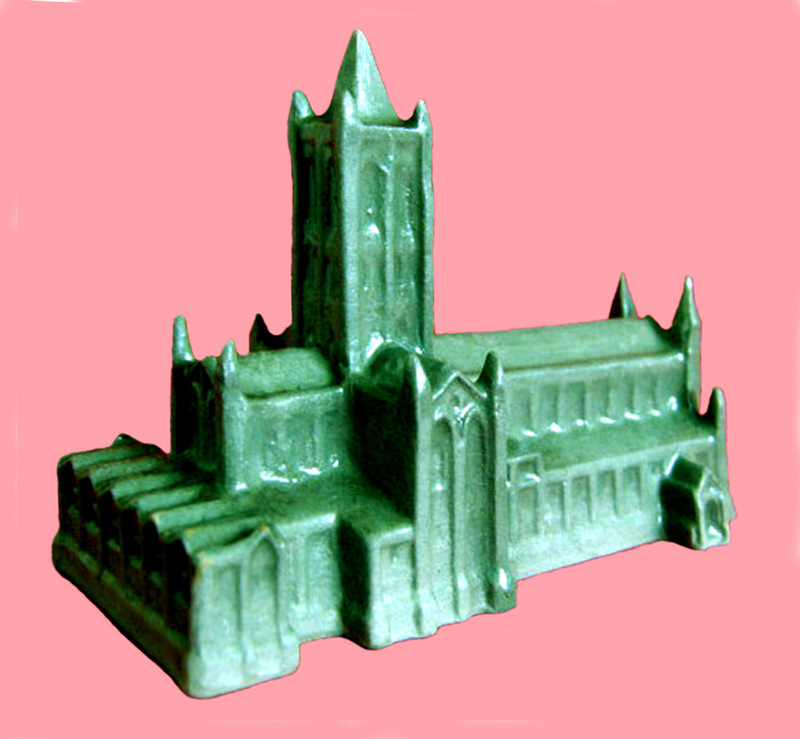 It was owned by Germans (who had to leave at the start of the First World War) and run by Joe Vernon, a mould maker from Staffordshire. 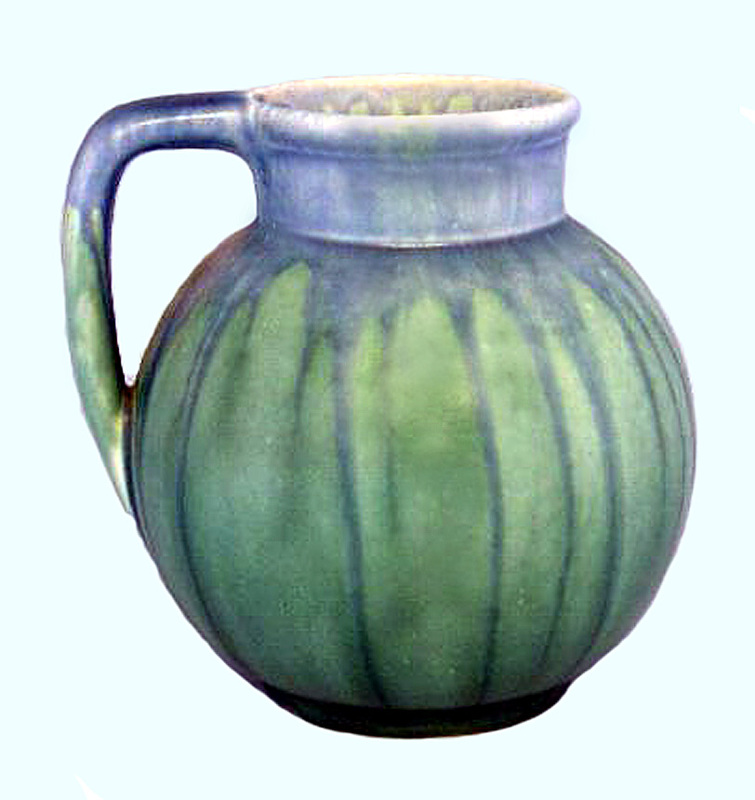 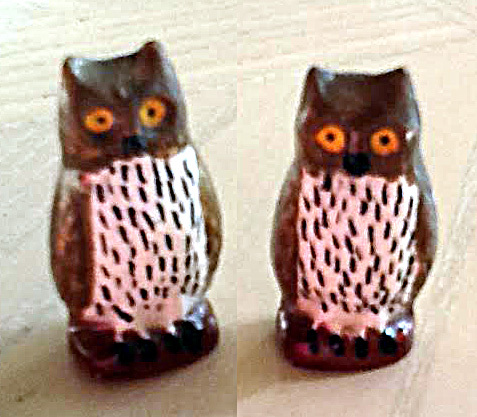 In 1922 Herford Hope returned from the USA and became interest in the dormant pottery, eventually starting up the Devonmoor Art Pottery in 1923. 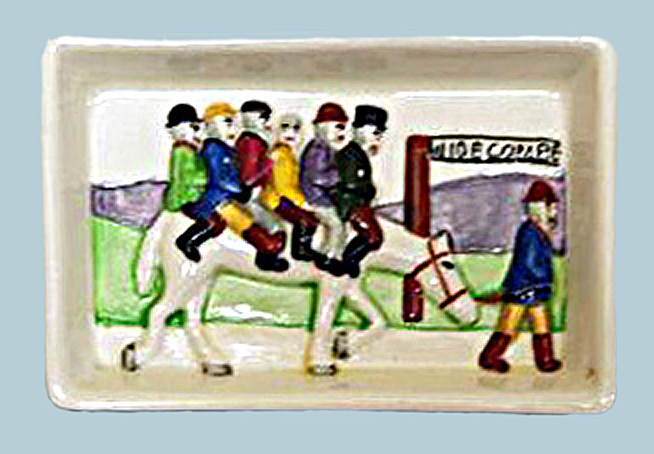 Herford Hope was helped by his wife a decorator or paintress as they were called and an early employee was Leslie Manley who did a whole range of jobs in the pottery as he worked there for well over 30 years. 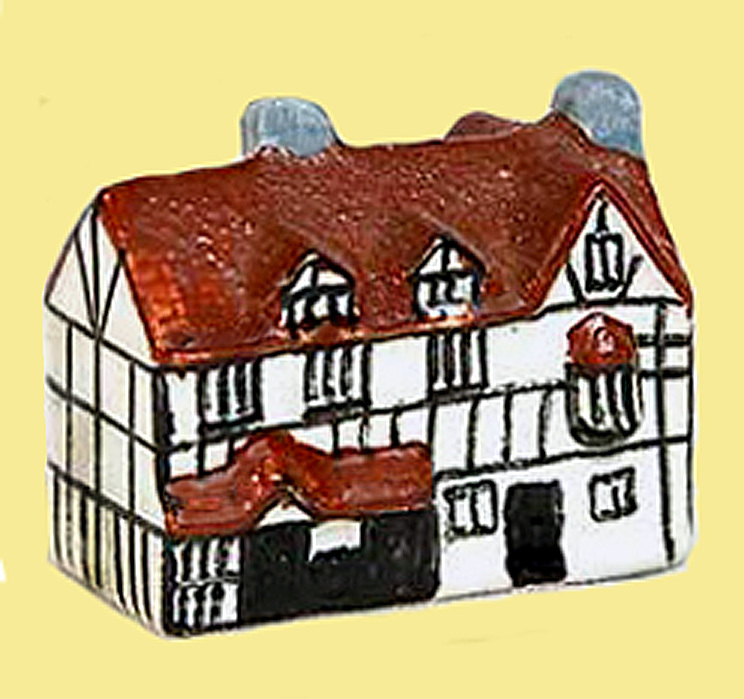 Although Joe Vernon is believed to have returned for a short time as a mould maker, Bert Mellor was the only other one employed there. 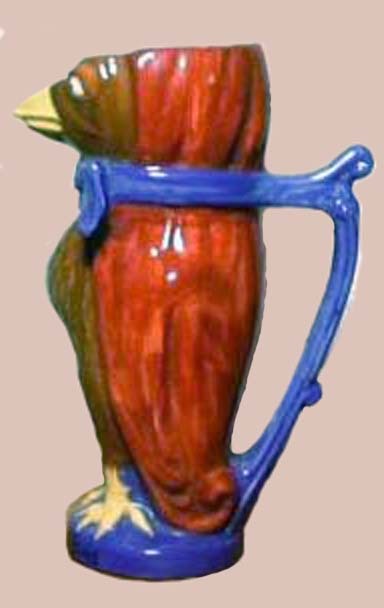 Over the years many paintresses decorated the pottery, for as many as 48 initials are recorded having been found on base of Devonmoor pottery. 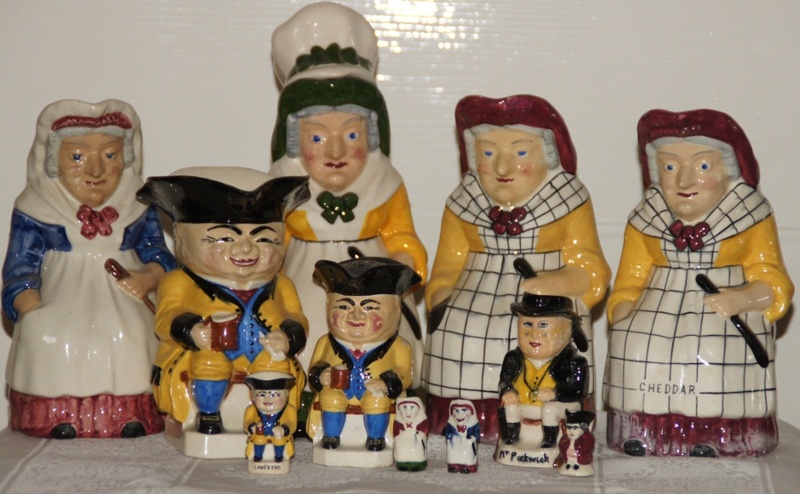 Amongst the paintresses the most prolific very likely being DE for Daisy Emmett and later when married as DRH for Daisy Rees-Hill. 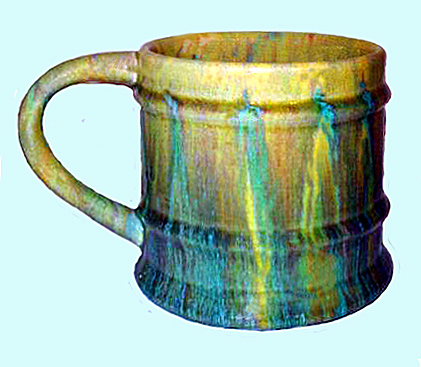 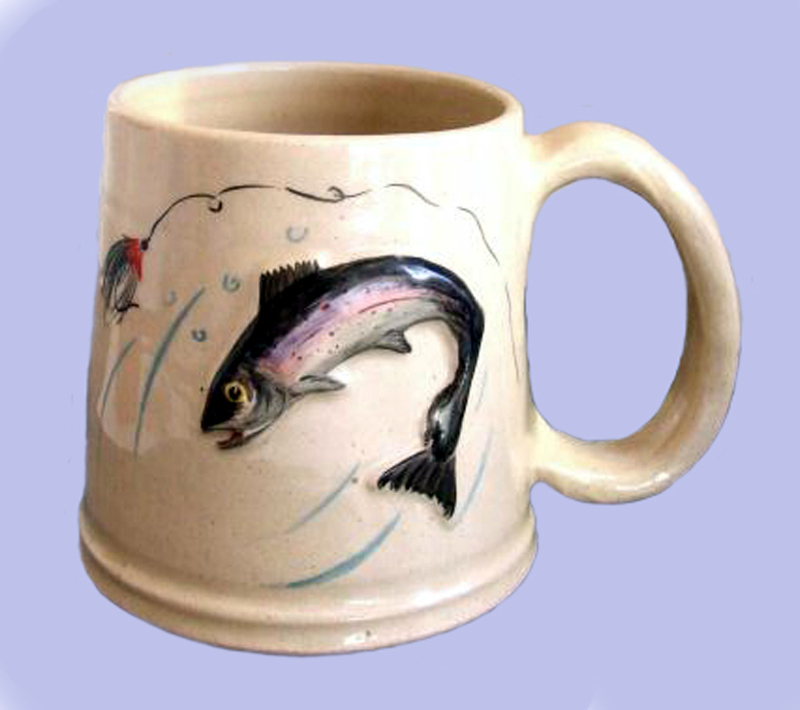 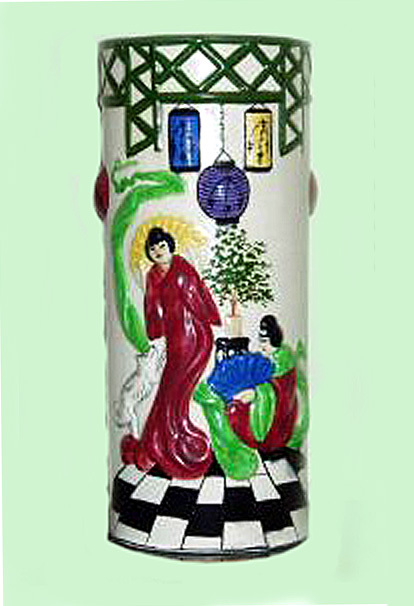 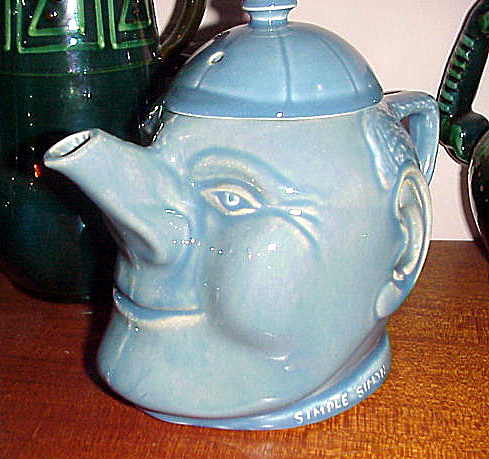 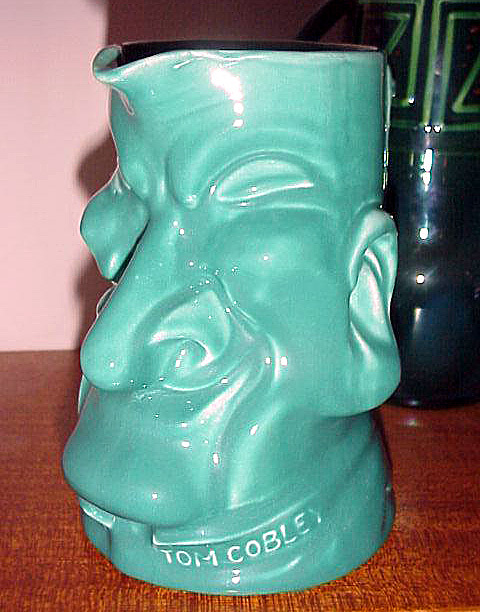 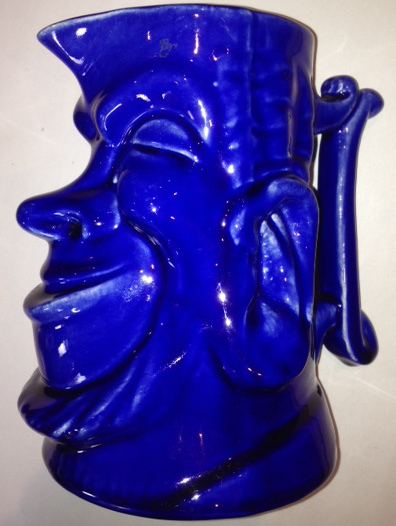 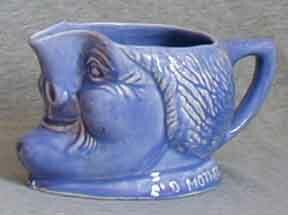 Much of the early and some later output were from mould designs of Joe Vernon’s earlier Liverton Art Pottery. 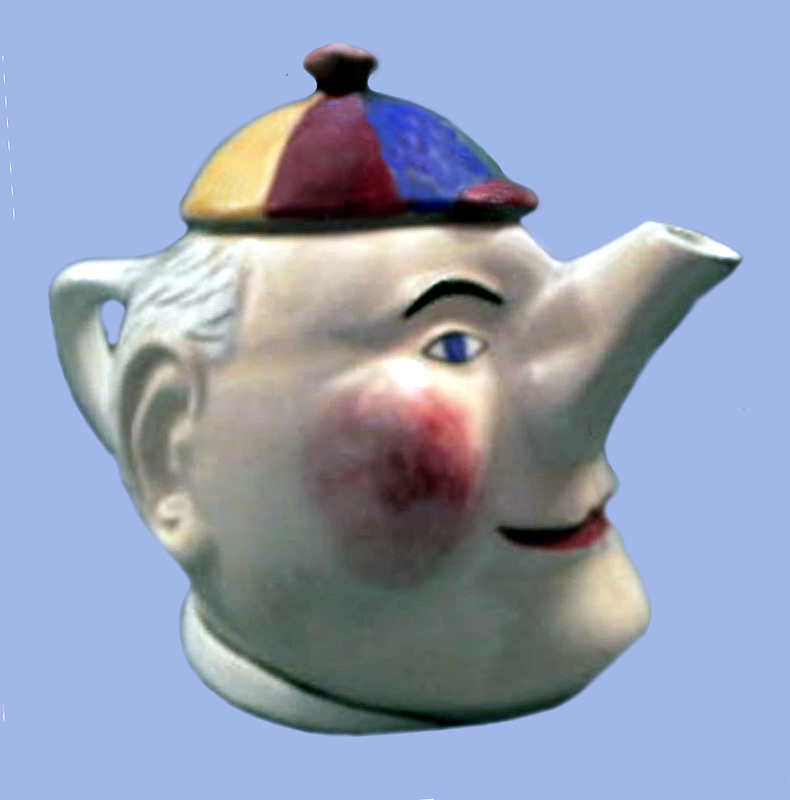 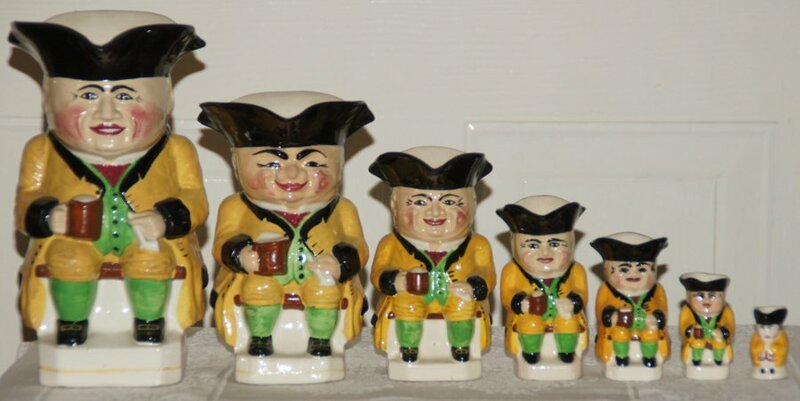 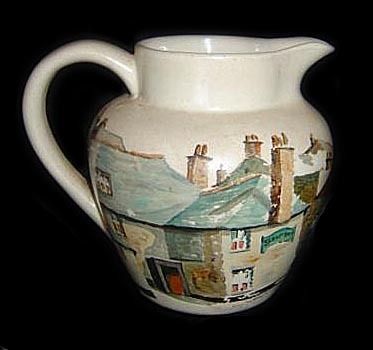 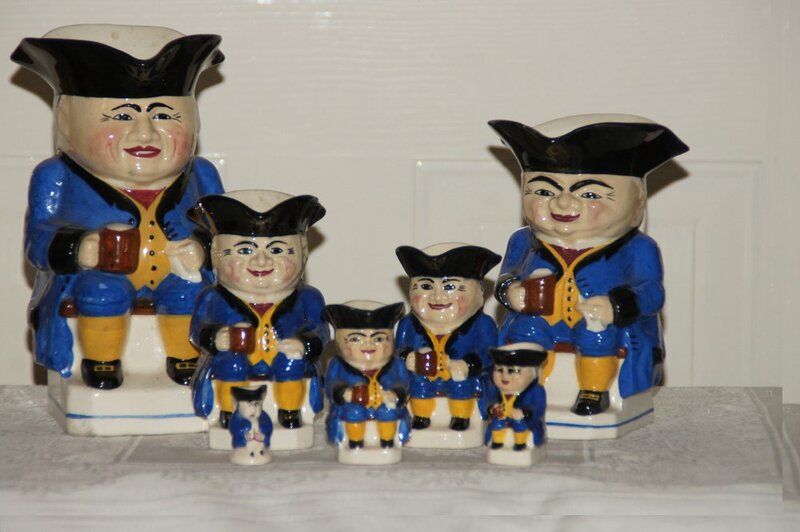 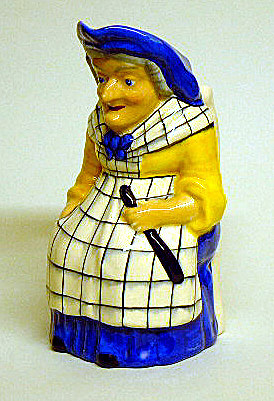 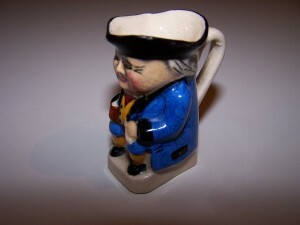 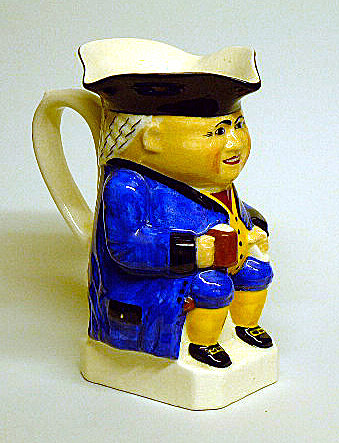 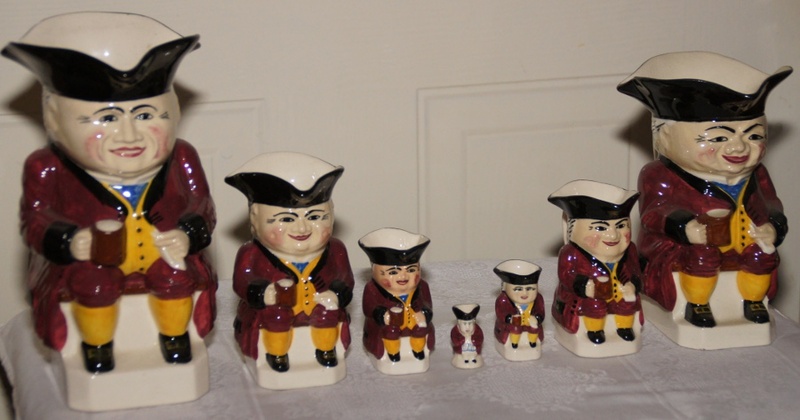 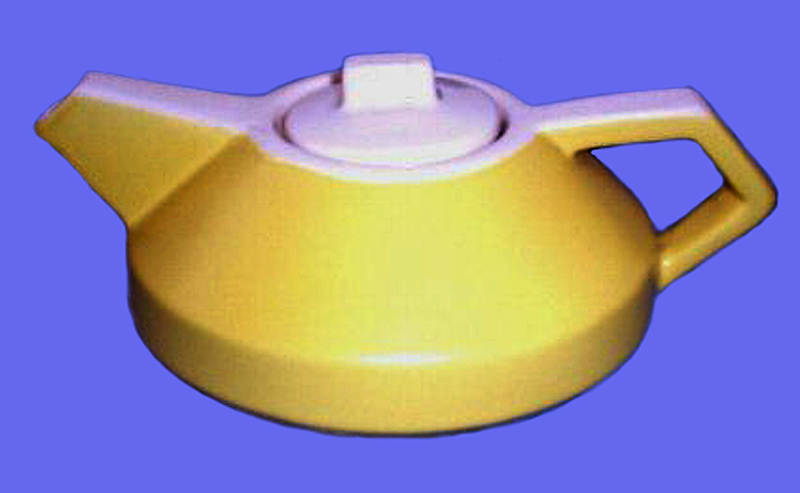 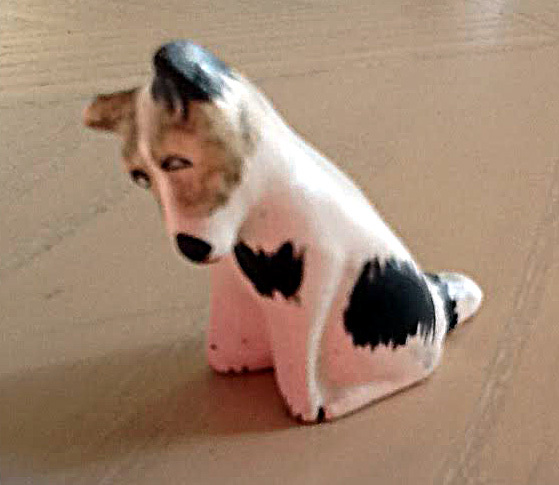 The Devonmoor Pottery is probably best known for the much collected Toby jugs in different sizes and colours with Toby in a yellow coat being the one to look out for. 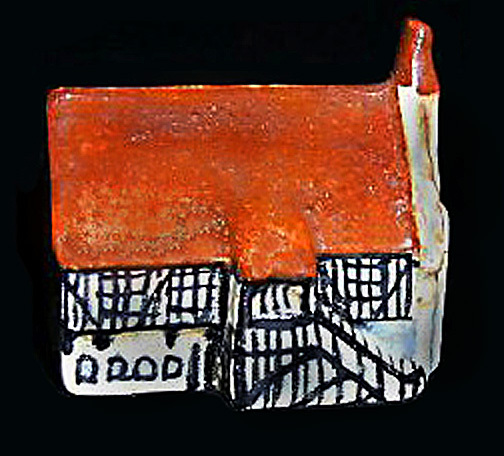 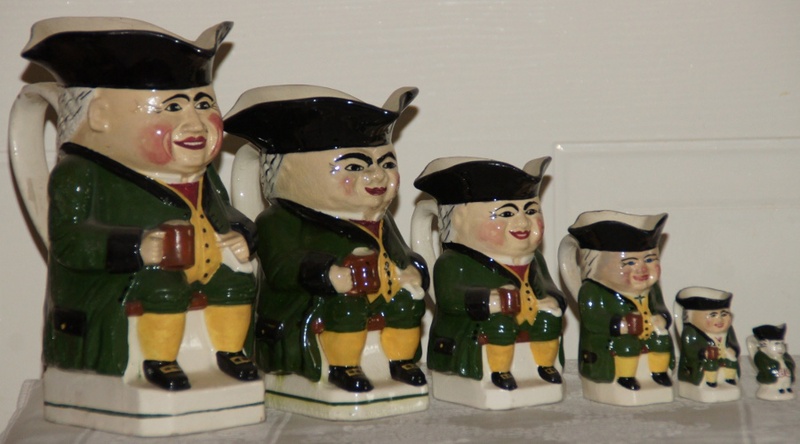 They made sturdy mugs in a pleasing mix of colours, Widecombe Fair character jugs, cigarette boxes in the form of Ann Hathaway’s cottage, a series of miniature named cottages, small model animals and much more. 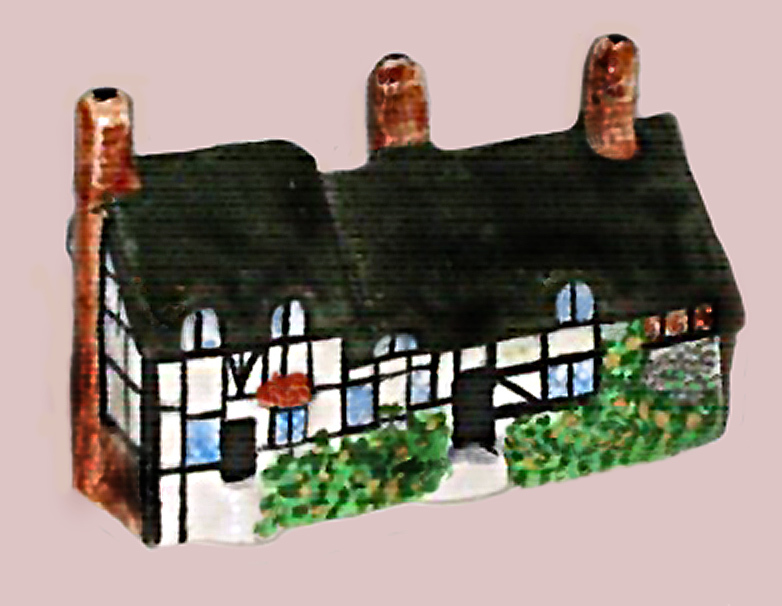 During the early 1950’s when there were restrictions on the use of coloured decorating materials, some plain moulded white wares with a mould mark or rubber stamp of Devonmoor Pottery were decorated for export by the Dulcie Vaughan Art Studio at Chudleigh, Devon. 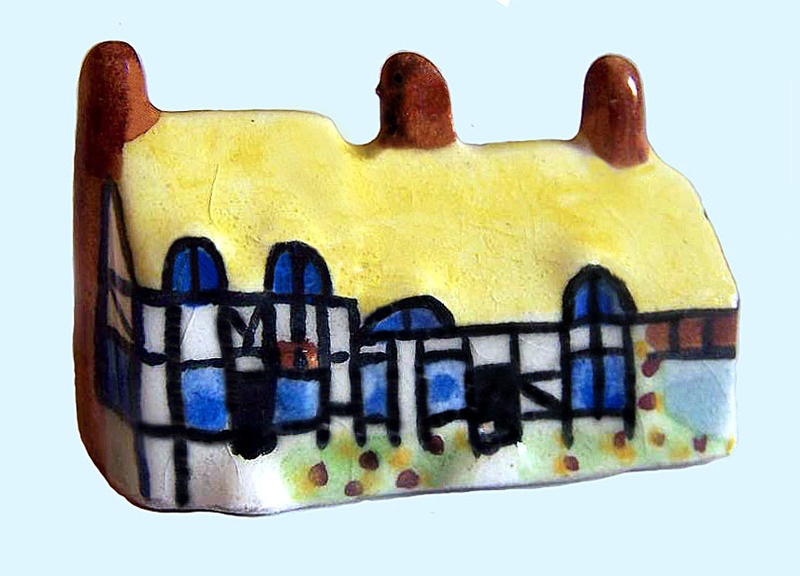 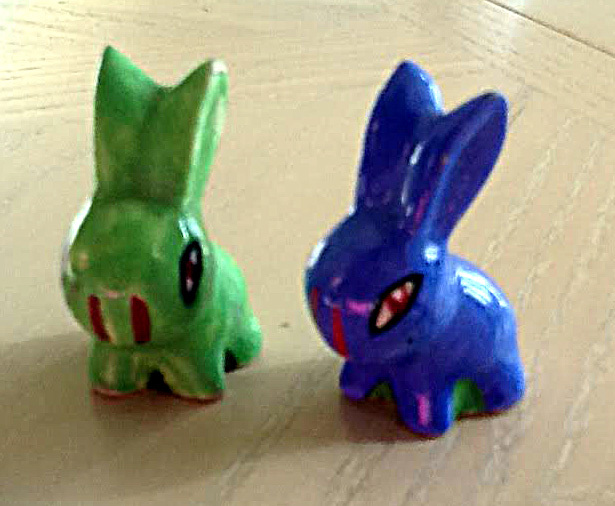 These were painted with coloured enamels over glaze and re-fired in the studio’s own kiln and unless marked Dulcie Vaughan may be hard to identify. 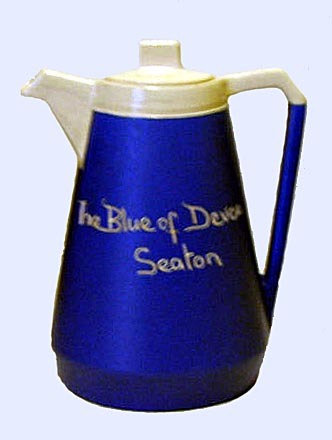 With interest in their traditional products declining during the 1950’s the pottery experimented in producing cheaper utility pottery that we know as ‘blueware’ with some interesting shapes and sgraffito sayings or place names and this kept the pottery going but declining until the pottery closed in about 1981. 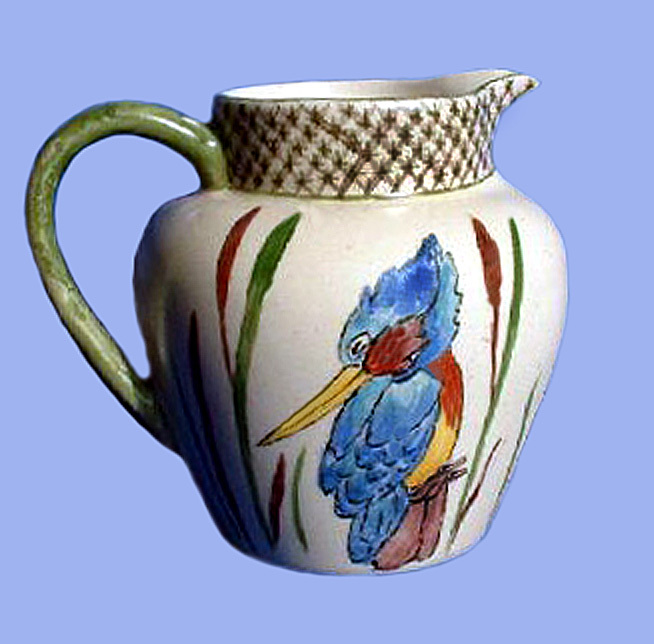 Reference: Devonmoor Art Pottery and its manufacture by John Hobbs and published by the TPCS. 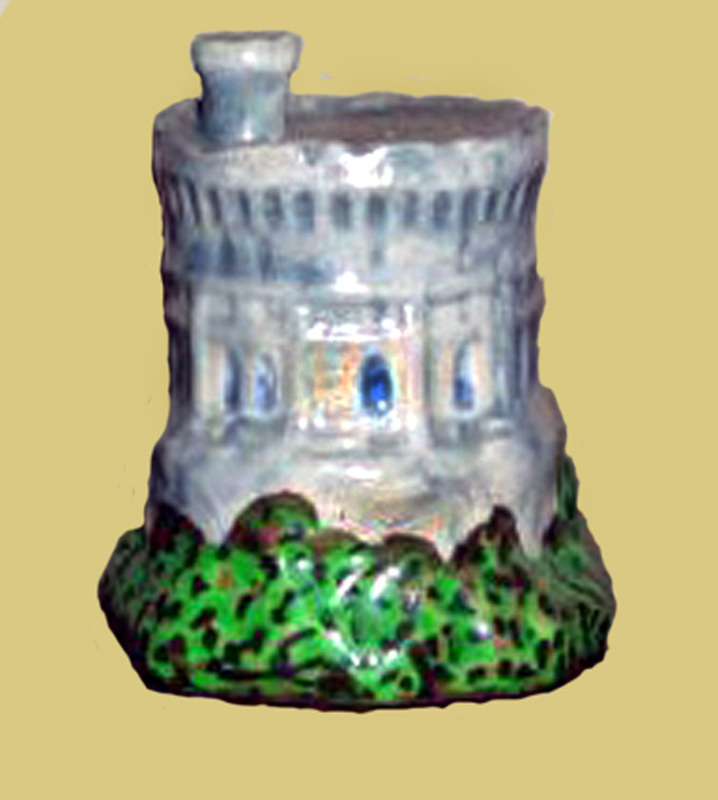 The TPCS Torquay Pottery Mark Book has the latest list of all the known paintresses as well as the Devonmoor backstamps. 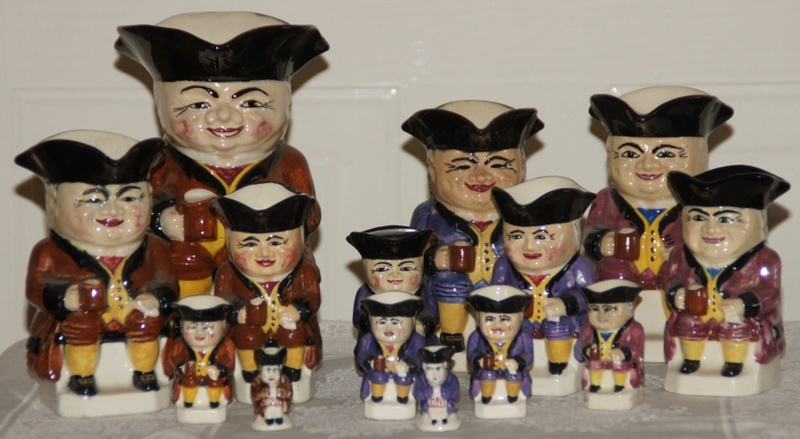 The Toby Jugs shown below are courtesy of Linda and her son who took the great pictures. 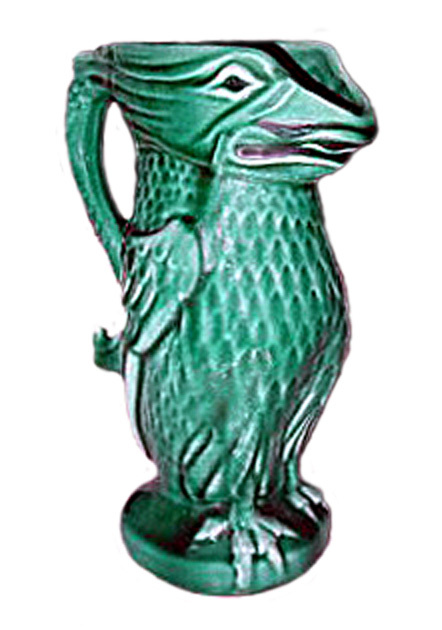 When viewing photos please press Esc to return to this page.